Welcome to La Fiesta's Offical Website! - lafiestacollegepark's JimdoPage! Welcome to La Fiesta's Offical Website! 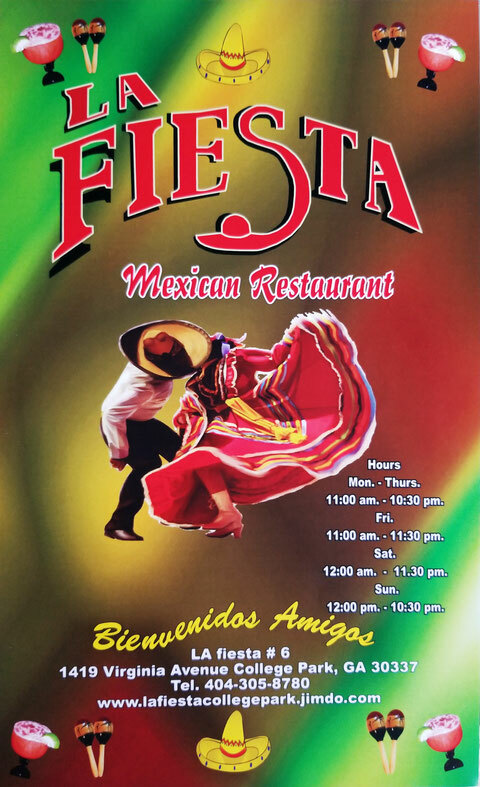 La Fiesta has been in service for over 35 years, serving Metro Atlanta with the best Fajita’s and Margaritas in town. Come into one of our locations today and have the best Mexican experience.